Events - CF Holiday Fund - providing opportunities to spend quality time together. We have a number of annual events and some new ones planned, check here to see how they went and what we have coming up. 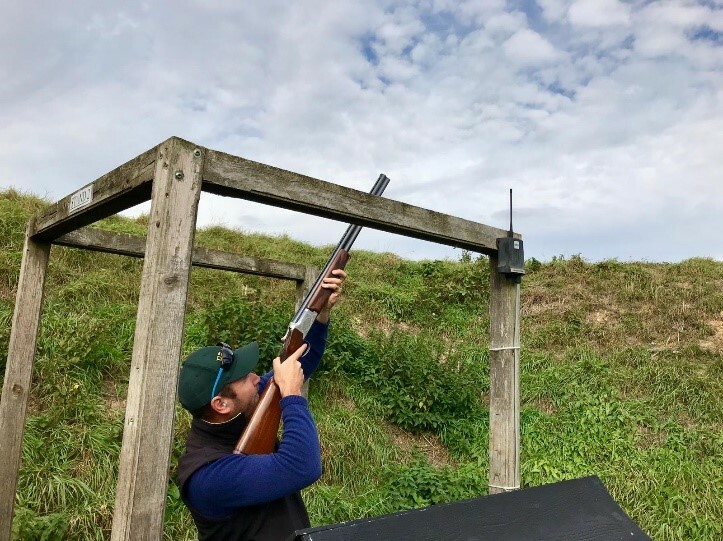 The 2018 Clay Shoot raised a whopping £10,000. Thank you to James Hall for all of the effort he put into organising this hugely successful event. We would also like to thank everyone who made generous donations and those who participated in the day. Your support will make a huge difference next year to the children with CF and their families who will benefit from our holidays and grants in 2019. 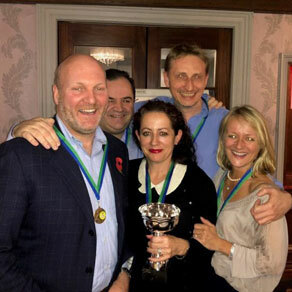 CFHF supporters pulled out some of their brightest minds to do battle at the Cystic Fibrosis Holiday Fund’s (CFHF) Annual Quiz Night. The big winner was of course the CFHF, with a total of £5,860. 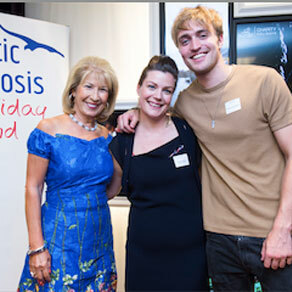 Pictured here is the Launch Event’s host, Jennie Bond (the former BBC Royal correspondent) with CFHF Director Laurie Howard and rising pop-star, Martin Luke Brown who treated attendees to a live performance. 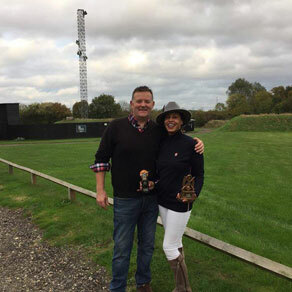 The Cystic Fibrosis Holiday Fund Charity Clay Shoot fundraiser. A fabulous day organised by our wonderful Trustee James Hall. With many thanks for all his efforts and to everyone who took part.